I wish I could transport myself back to last Sunday, when these brioche doughnuts made their debut in my life. That was a good day. Instead, it’s Thursday and I’m sitting here with suddenly very subpar peanut butter toast wishing it would magically turn into a doughnut. Le sigh. So you better believe that, this weekend, there will be a repeat of doughnut making. Complete with that blackberry jam filling and snowy powdered sugar sprinkle. And you are all invited. I mean, what kind of person would I be if I made all of these doughnuts and didn’t want to share them? The kind of person I was on Sunday, that’s what. 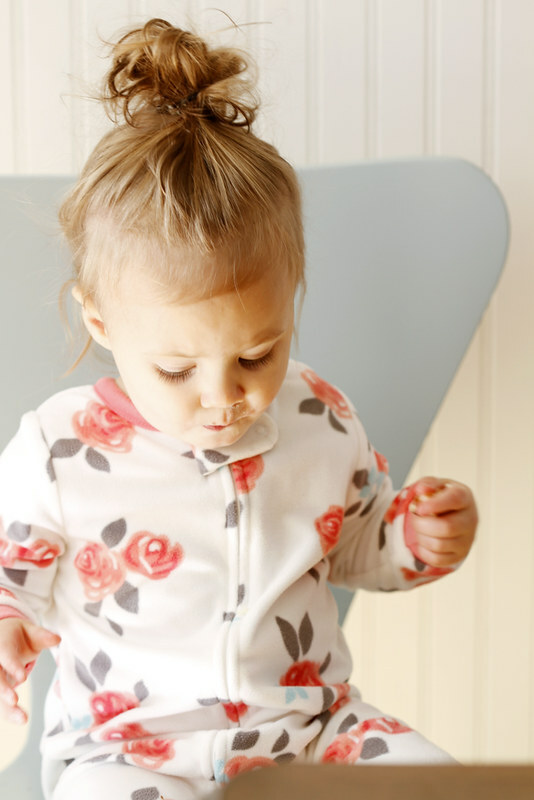 Except I did share them, with our very small family of three, all still in our pajamas while drinking coffee and milk out of a sippy cup and catching up on life happenings. I learned that Elliott decided he is going to build a playset in the backyard for Avery to use next year (I’m writing that down here to keep him accountable on that, LOVE YOU BABE), Avery can say “doo doo!” (which means “choo choo,” as in the train) and wants to be pushed around in everything from a diapers box to a large mixing bowl as if it is a train and that fresh brioche doughnuts for breakfast are the best thing ever since… well, ever. So in the end, I was glad I shared them. They made our morning extra special and sweet. 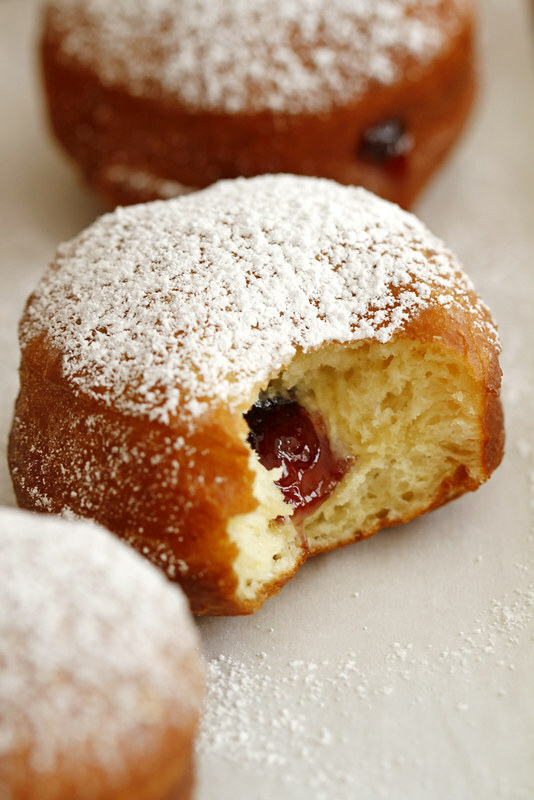 These fluffy, tender doughnuts (made with Red Star Yeast, my one true yeast love) are perfectly delicious without a filling, but I like to go the extra step with my fried pastries so I filled mine with blackberry jam. 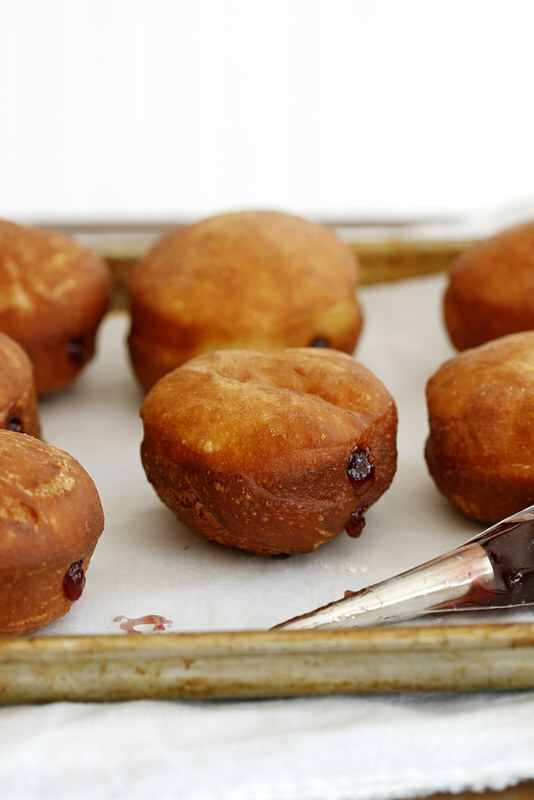 Of course, you can fill them with any flavor jam you love, or even a homemade cream or custard. Just be sure to serve them warm, with a sprinkle of powdered sugar on top. It’s imperative for the full doughnut experience, I’m telling you. And if you don’t believe, you can ask this one. She (and her doughnut-filled tummy) would agree. So, my place, this weekend. Coffee for the big kids, sippy cups of milk for the littles. Doughnuts for all. See you then. In large bowl or bowl of stand mixer fitted with dough hook attachment, stir 2 3/4 cups flour, nonfat dry milk, sugar, salt and yeast until combined. Add eggs, egg yolk, warm water and butter. Stir just until dough forms. On lightly floured surface, knead dough by hand 10 to 15 minutes, adding just enough of remaining 1/4 cup flour until dough is soft, smooth and elastic; OR, knead dough in stand mixer with dough hook on low speed 10 minutes, adding just enough of remaining 1/4 cup flour until dough is soft, smooth and elastic. Shape dough into ball. Place in large lightly greased bowl; turn once to coat. 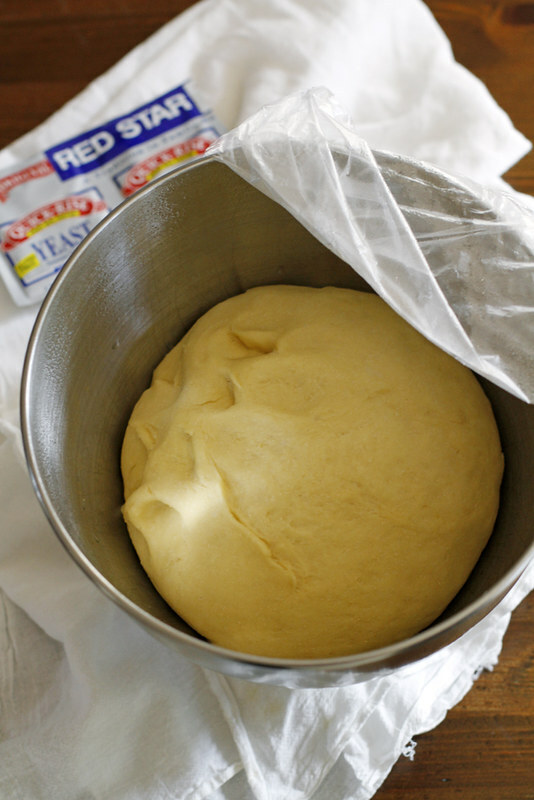 Cover bowl with plastic wrap and let dough rise 1 hour in warm place. Transfer to fridge and chill 8 hours or overnight (no longer than 12 hours). Punch down risen dough. On lightly floured surface, press dough into 1/2-inch thick circle. 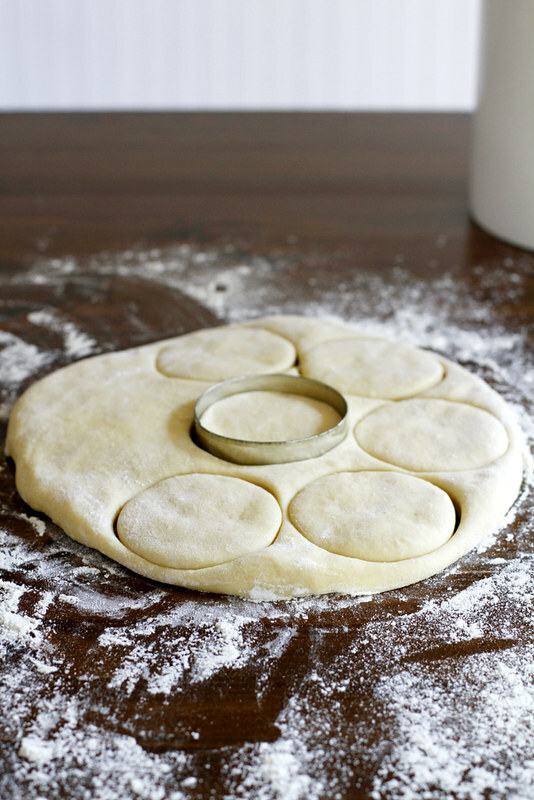 Use 3-inch round cookie cutter to cut dough into doughnuts (you may re-press the scraps once to cut more doughnuts). Place doughnuts on parchment paper-lined baking sheet. Cover with towel and let rise 1 hour. Meanwhile, heat 2 inches oil in large saucepan over medium heat until candy thermometer reads 350 degrees F. When doughnuts are fully risen, use slotted spoon to drop 2 to 3 into hot oil. 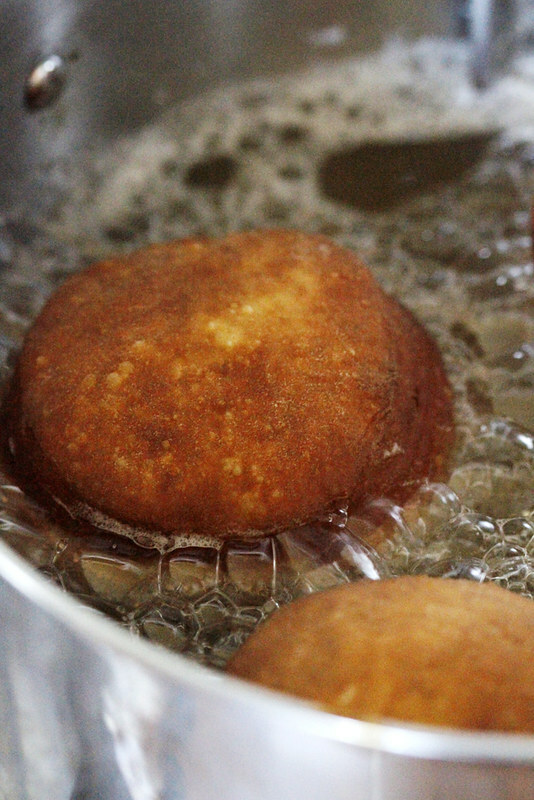 Fry on both sides until deep golden brown. Remove with slotted spoon and transfer to paper towel-lined plate or baking sheet. Repeat with remaining doughnuts. 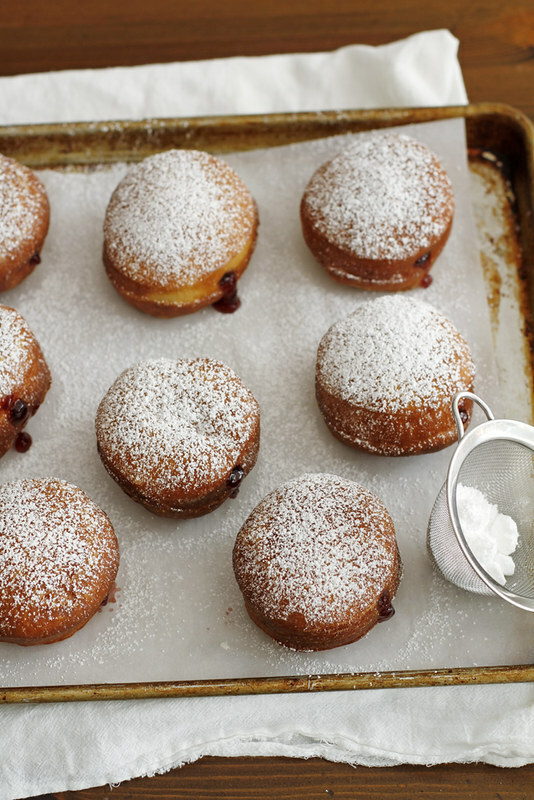 Use #230 round decorating dip to pipe blackberry jam filling into doughnuts. Sprinkle with powdered sugar. oof, what a beauty!! I wish I could transport myself to last Sunday with you so that I could steal one of these!! So yummy! I wish that I was brave enough to fry so that I could try these..! I need these in my weekend for sure!! Oh I wish I knew how to make doughnuts.. these look irresistible! Mmm these are the perfect Sunday breakfast! 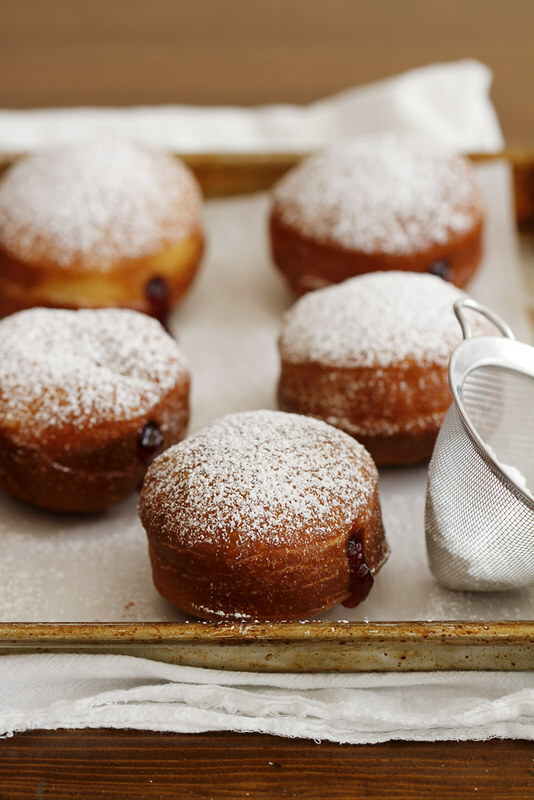 That blackberry jam filling sounds so delicious with the fluffy doughnuts – and Avery is SO cute! Oh my oh my oh my! I’ve been seriously lusting over these since yesterday when I saw them on FB (I think). Good lord girlfriend, so beautiful, so fluffy, so perfect! I wish I could transport these to my house because they look amazing! And that blackberry filling is perfect. How cute are these doughnuts and that blackberry filling is divine! Beautiful dounuts Stephanie! The blackberry jam oozing out is so tempting….definitely a great thing for this wonderful time of year :). Just found your site and I love it! Have a question about this donut recipe; I only have instant yeast at home, not rapid rise. Would I use the same amount of the instant in this recipe or do I need to adjust? Thanks so much!